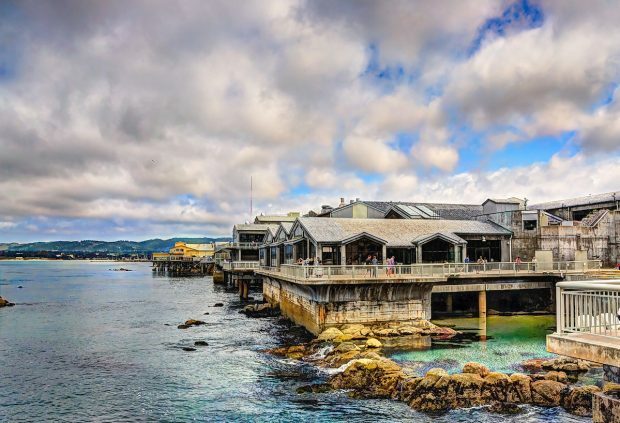 The Monterey Aquarium in Monterey, California, is consistently cited as one of the best in the country. 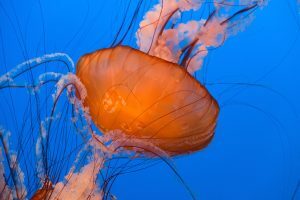 If you’re planning to spend any time in Monterey, the aquarium has to be a ‘must see’ spot during your time there. 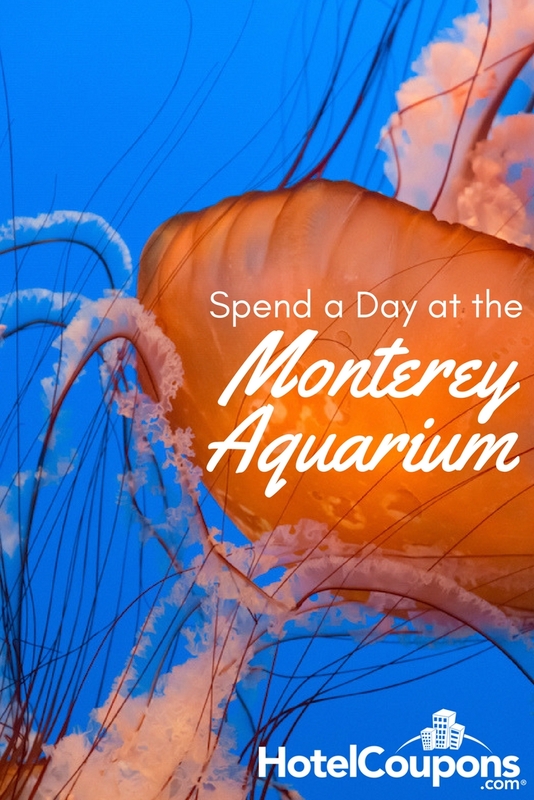 In fact, in this post, we’re going to take a deep dive (yup, went there) on all the things you can do and see during a day at the Monterey Aquarium. Trying to navigate the aquarium, especially on a more crowded weekend, can feel a bit daunting. So, your best bet is to have a plan in place. Most people enter and head to the otter pools right in front of them. Instead, head to the 2nd-floor Splash Zone area first and work your way back down. If you love penguins, you won’t be disappointed by the Splash Zone. Get up close to everyone’s favorite birds. Of course, there are more than just penguins here. In the Splash Zone, you’ll also find animals and sea creatures who call their homes kelp forests, coral reefs, and rocky shores. These include hermit crabs, moray eels, and sea anemones. 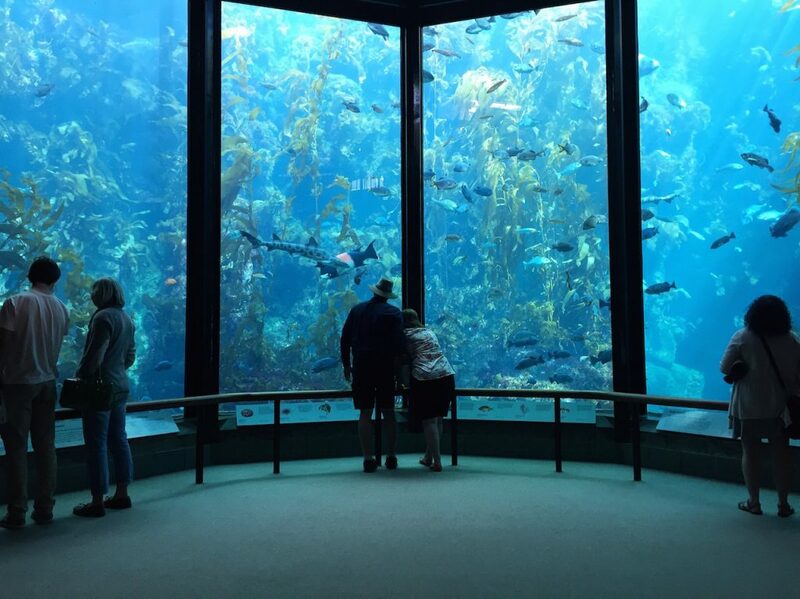 The open sea exhibit is the Monterey Aquariums largest. It features an amazing 90 foot window that lets visitors watch as giant sea turtles, puffins, stingrays, and jellyfish float by. It’s easy to grab a seat here and get mesmerized as you watch schools of fish swim. Before you go, check the website for feeding times too. Directly below the Open Sea on the 2nd floor, you’ll find the Open Sea area for special exhibits. These are events and showcases that change during the year or every few years, so it’s a great way to see something new or special. As you leave the first-floor Open Sea, you’ll be back at the entrance area, but don’t pass it by. Here, you’ll be able to take a look at the fun and playful sea otters in their pool. There’s also an auditorium where you can enjoy a variety of quick films that run throughout the day on different animals as well as life behind the scenes at the aquarium. If the weather is nice, head outside to the wildlife viewing area by the Great Tide Pool. Here, you’ll want to keep your eyes peeled for sea otters, seals, great white sharks and even huge humpback whales off the shore. 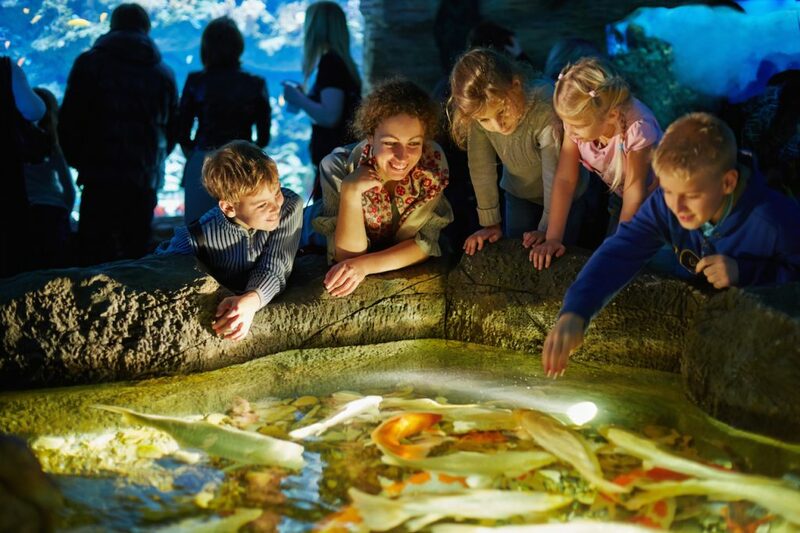 In this part of the aquarium, you can get a little hands on, which is why kids love it! There are a number of small touch pools where everyone can safely interact with a few sea animals and creatures that are monitored by staff. This area is also home to the popular kelp forest. At 26 feet tall, you’ve likely never seen anything like it! And, don’t miss the octopus tank. You’ll be able to watch the giant Pacific octopus in its element. The most important thing to do when you’re at the Monterey Aquarium is to have fun! There are all sorts of daily and special events happening there from feedings to exhibit updates so plan ahead to know what you’ll be able to see during your visit. Looking for more family-friendly things to do in California? Check out these fairs and museums.